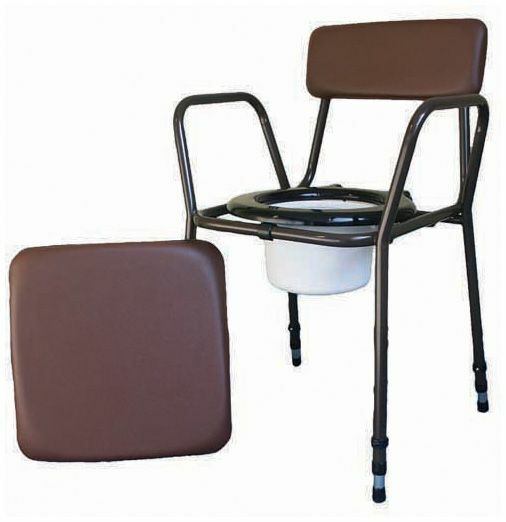 The Budget commode is height adjustable and stackable. It’s a neat, practical and manufactured to exacting standards. 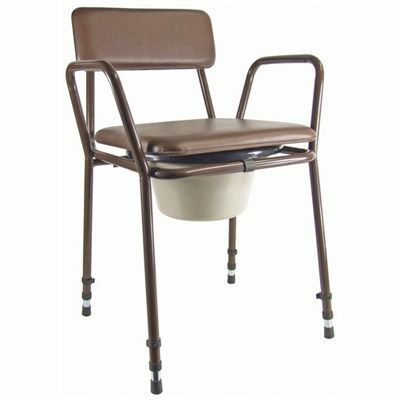 It is suitable for use as a bedroom commode or bathroom commode. 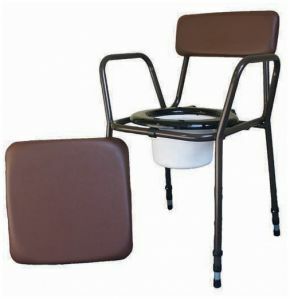 The Budget Commode Chair has a 5 litre bucket with lid and a padded overseat is supplied for discretion when not in use. The upholstery of the commode is well padded and is vinyl welded to reduce the possibility of bacteria build up. A good budget priced commode that does just what it says. And very fast delivery.